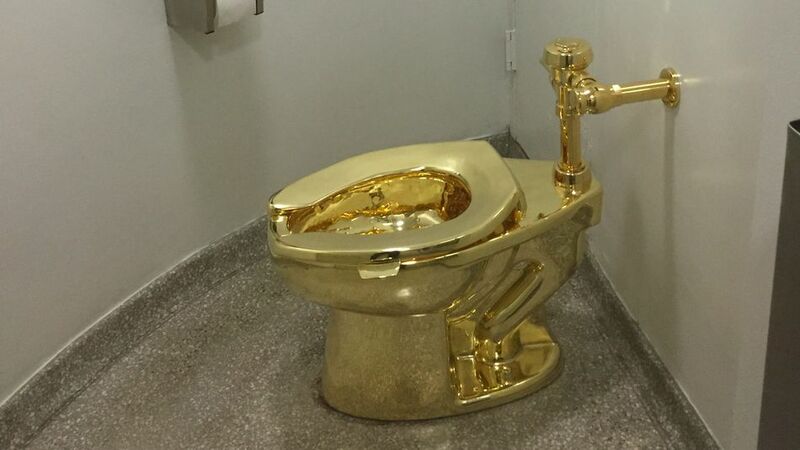 Your dream of pooping in a solid gold toilet is now a reality. 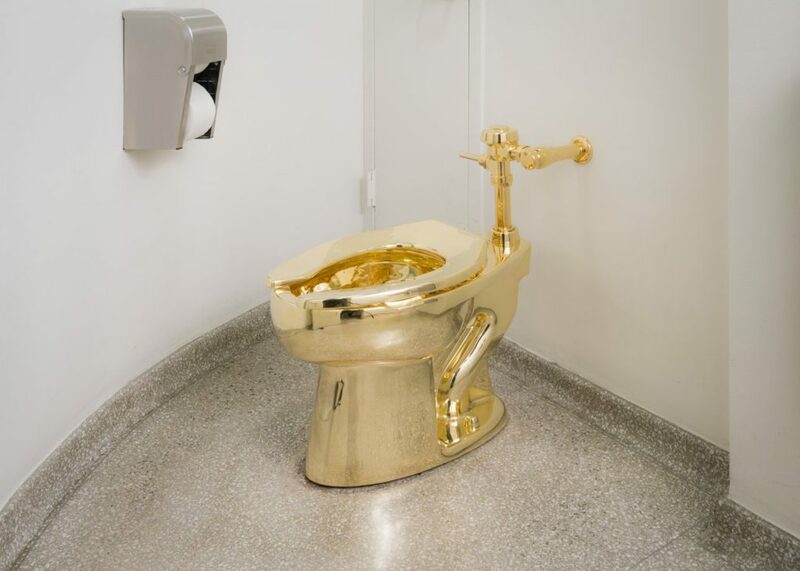 Italian artist Maurizio Cattelan has replaced the fourth-floor toilet at New York’s Guggenheim Museum with a functional 18-karat gold toilet. 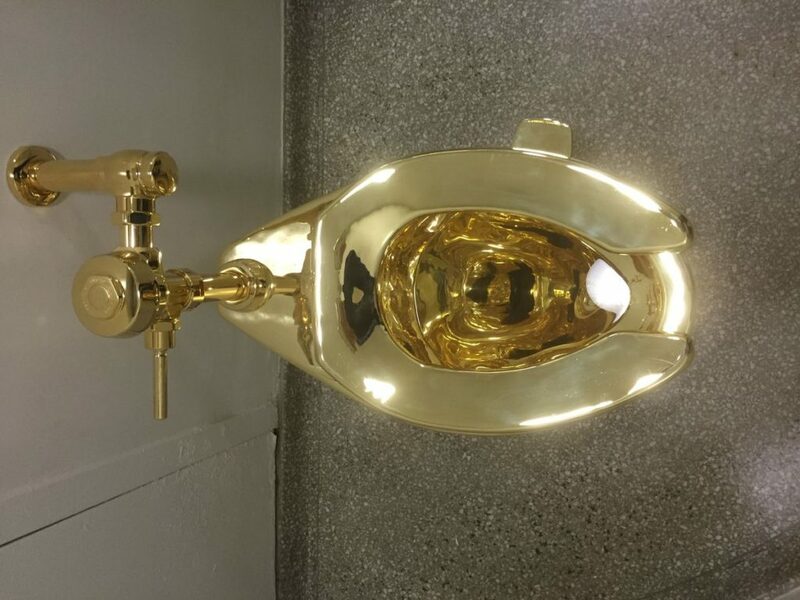 The shiny functional 18-karat toilet is worth between $1 million and $1.7 million. To use the toilet, visitors only have to pay $15. The toilet requires a cleaning after each use, and will have a round-the-clock security guard watching over it.